On June 19th, the Canadian Senate voted overwhelmingly to pass The Cannabis Act (Bill C – 45) which would allow for the recreational use of cannabis across the country. The votes came in at 52 to 29 in favor of a revised bill from the elected House of Commons triggering a wave of investor excitement across the sector. As a result, the country’s largest cannabis producer, Canopy Growth (NYSE: CGC or TSE: WEED) registered a six percent uptick in its share price while a number of other small and micro-cap cannabis stock prices also spiked, clearly illustrating the impact of passing the bill. However, the North American Marijuana Index which tracks 41 constituent firms with a current combined market value of more than $36 billion, has been on a steady downtrend ever since the passage of the bill, reaffirming that not all cannabis companies are created equal. According to Prime Minister Justin Trudeau the law is expected to go into effect on October 17, with at least some sales beginning on that date. For investors looking to cash in on this booming sector, the ability to sift through the myriad of companies along the cannabis value chain is what will guarantee above average returns. Due to the widely known fact that a huge number of cannabis stocks trade on the OTC and have little merit in terms of an investment case, the best way to limit downside risk would be to find a niche that that has been flying under the radar of most investors. This is because the flurry of investor activity in the sector has pushed a lot of popular weed stocks well above reasonable valuations, further reducing the likelihood that short term investments will yield superior returns comparable to what the sector has delivered in the past couple of years. For instance, CannaGrow Holdings (OTCMKTS: CGRW) which operates as a liaison between the owner of a Colorado cannabis greenhouse and Category One Botanicals, a licensed entity, currently trades at about $1.47 per share with a market cap of approximately $767 million. According to the company’s most recent disclosure, sales for the first nine months of 2017 came in at $1 million and yielded $318,000 in net income. Cash flow form operations was negative and shareholders could suffer substantial dilution of their holdings based on the fact that there are 42 million Series A preferred shares which upon conversion could double the number of outstanding shares. Another prime example of a high flying cannabis stock with weak fundamentals is Weed Inc. (OTC: BUDZ) which trades at $4 as the time of writing. In my opinion, this is one of the more popular cannabis companies that I would encourage investors to stay away from due to a particularly high number of red flags. First, like many other companies in the space Weed Inc. didn’t initially start out as a cannabis company and was only repurposed to acquire land and build commercial grade cultivation centers back in 2014. The company’s shares surged by over 400 percent at the beginning of the year on virtually no news in spite of its precarious financial position. Apart from the fact that Weed Inc. hasn’t made any revenue in the past two years according to its most recent filings, it also made a net loss of approximately $2.8 million. Furthermore, its recent acquisitions have left the company strapped for cash and it will need to secure financing in order to fund short term operations. While the number of investable cannabis stocks are far outnumbered by potentially worthless companies, there are plenty of opportunities for the discerning investor. In order to find the right niche, looking at what institutional money is betting on could serve as a great starting point. Green Acre Capital for example whose fund requires a minimum investment of $100,000 raised more than its initial target of $20 million (Canadian) from high-net-worth investors so far this year to take stakes in 12 to 15 companies in the cannabis space. “In this particular gold rush, the fund is focusing mainly “on the picks and shovels and ancillary businesses,” Matt Shalhoub, managing director of the Toronto-based Green Acre Capital says. Green Acre sees these suppliers of specialized tracking software, labs and other services growing faster than the broader cannabis market, with bigger margins that will lead to “more attractive exits,” he says. As such, one interesting area that investors should consider is cannabis packaging for the simple reason that increasing cannabis sales will also translate to more packaging sales. As a matter of fact, this particular niche offers great exposure to the cannabis sector without the heightened risk of competition experienced among growers. Kush Bottles (OTCMKTS: KSHB) which trades at about $4.6 per share, is one of the best positioned companies to reap big from cannabis packaging sales with the stock rallying by about 30 percent this year alone driven by robust sales. To illustrate just how massive the opportunity here is, the company’s third quarter sales grew by an impressive 173 percent YOY to $12.9 million. However, gross margins dipped slightly to 28.3 percent which was attributed to its expansion into lower margin vaporizer and cartridge product segments. Kush Bottle’s financial position appears to be improving with cash balance as at the end of May 31 of $3.6 million compared to $900,000 at August last year while working capital increased more than five times over the same period to $15.8 million. Going forward the company is also positioning itself to take advantage of more opportunities in the cannabis industry with acquisitions that will see it expand into cannabis oil production. Canadian based Alcanna Inc (TSX: CLIQ) is another stock that should be under close watch by any cannabis investor. What makes this particular play interesting is that Alcanna used to be a beverage retailer selling beer, wines and spirits only but recently got into the cannabis business after an investment from Aurora Cannabis Inc. 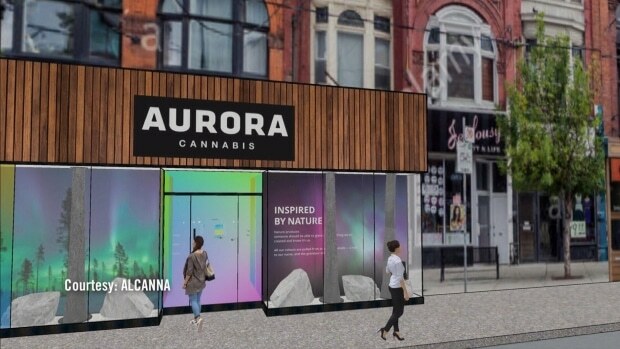 Following the investment, the company said it planned to begin offering Aurora’s products in a couple of its select stores over the coming months. Shares of Alcanna edged upwards after news of Aurora Cannabis taking a 25 percent stake in the company broke, although most of these gains were given up in subsequent trading days. Frankly, the diversification into cannabis couldn’t have come at a better time considering that Alcanna’s first quarter sales dropped by 1 percent to $125.8 million and Bloomberg’s prediction that cannabis sales could outpace beer sales by 2020. Reports from the company indicate that Alcanna will open 50 cannabis outlets before the end of the year and considering that experts believe that Alberta, where the company has its largest footprint, will emerge as a leader in retail cannabis, there is no doubt that its positioned for a great future. Lastly, The Green Organic Dutchman (OTCQX: TGODF) which recently completed one of the largest IPOs in the cannabis sector after raising C$115 million offers an appealing investment case. As of the time of writing, TGOD had a market cap of about C$1 billion in spite of not recording any revenue and burning through C$7.4 million in operating expenses according to its most recent annual report. While such a valuation is unprecedented based on the fundamentals, the market certainly seems to believe that TGOD will grow into it in the near term because it will be one of the largest cannabis producers in the world thanks to 1.6 million sqft of facilities spread out across the world. Currently, TGOD is licensed to grow and sell over 120,000kg of cannabis annually but will soon have the capability of increasing this amount to 195,000kg annually once it completes its expansion plans. A cursory glance at the company’s financial position reveals that more than half of its assets are in cash unlike its competitors but it is important to note that the cash will go towards funding the expansion of its facilities. TGOD plans to differentiate itself from other large scale competitors by offering high-quality organic cannabis and in a recent letter to shareholders, management believes it’s on the right track. 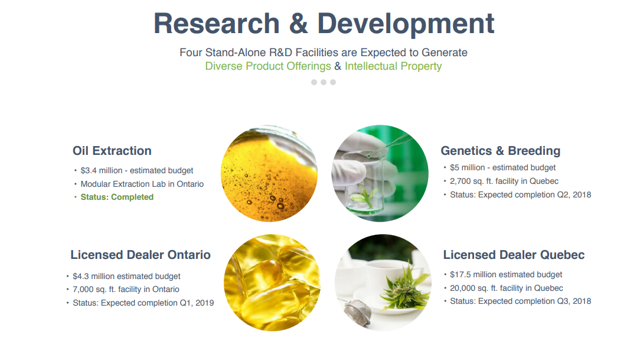 “Aurora Cannabis is the largest, most innovative cannabis company in the world. They invested over $78.1 million into our company, validating everything from our organic strategy, to our R&D & beverage divisions, to our management team and international expansion plans,” an excerpt from the letter states. We are constantly researching cannabis stocks, monitoring this sector and alerting subscribers to opportunities that we discover. Get our top stock picks, top-rated newsletter, buy/sell trade alert and all of our research by subscribing here. For a limited time, you can get instant access for just $55! Edwin is a contributing writer at Gold Stock Bull and has a background in control engineering.